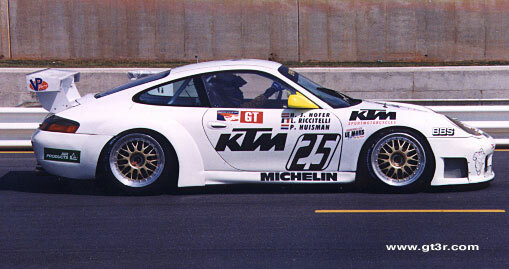 not much is known about the specifics of what was inside the engine but the two prototype cars had one-off motors, made up of 962 based engine parts, the early GT3 R cars had a 964 engine case, some of which just had freeze plugs in the oil return tube holes. 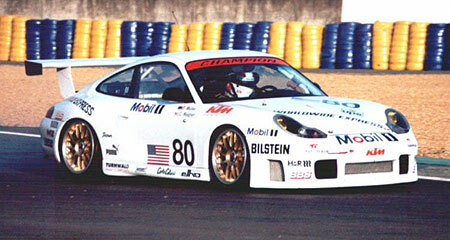 The parts in the production GT3 R 3.6 engines were sand cast, unlike these, and continued to use the 996 GT3 engine as its base. six speed manual transmission type ? (think it was 993 GT2) cable controlled gear shift mechanism ? 23 car as driven by Dirk Muller, and Cort Wagner for the rest of the season after Le Mans in the USA. 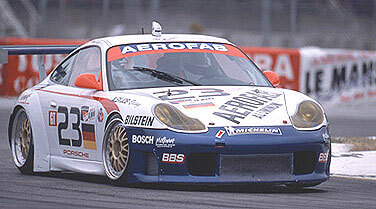 Cort Wagner also won the Porsche Cup in 1999. 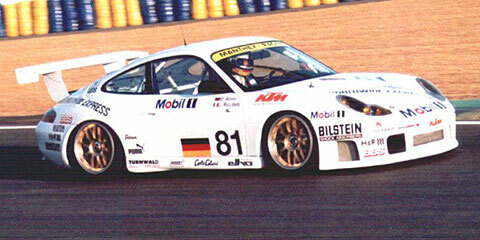 Alex Job ran the car along with a 993 RSR. 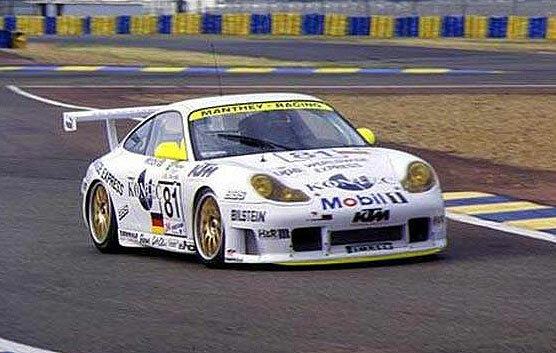 Manthey Racing was the entrant name because of championship points. the factory built two prototypes, both have survived. The other 1999 prototype. 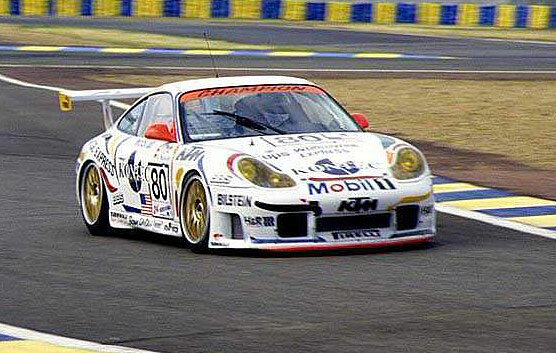 It was campaigned by RWS Motorsport for the remainder of the 99 ALMS season after the LeMans debut. The 25 car photo is as it appeared at the Petit LeMans. 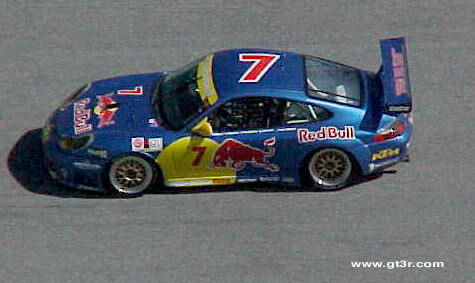 The beginning of 2000 saw its famous Red Bull luvery come alive, the car was seen thru 2001 in competetion under the Red Bull colors.